Join star chef Mario Sandoval in the kitchen on this advanced class for culinary professionals. A full length class on modern techniques applied to traditional dishes. Your chance to re-create this starred chef’s regional universe under his guidance. Mario Sandoval. 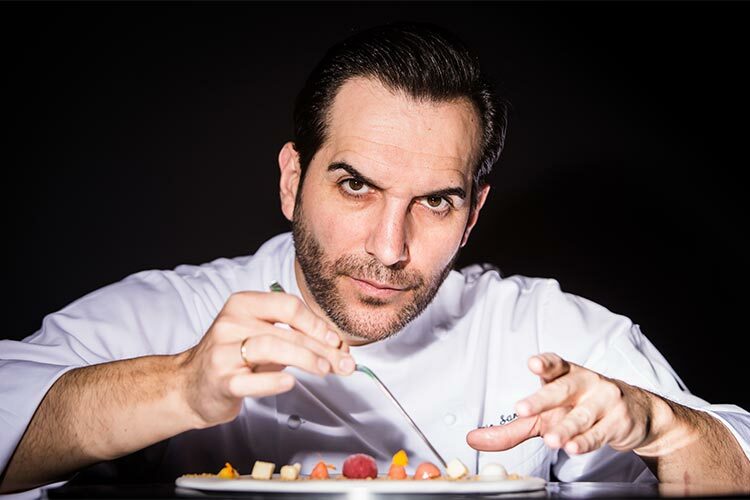 Chef, businessman, food researcher and promoter of the culinary arts, Mario received his second Michelin star in 2015 for his restaurant Coque in Humanes (Madrid). Since 2013 Sandoval is the President of the Spanish Federation of Spanish chefs and Patissiers (Facyre). Raised around a kitchen in his family’s establishment, Sandoval went on to receive formal culinary training at the Escuela Superior de Hostelería de Madrid. After completing his culinary education both in Spain and France, he took over Coque, the family owned restaurant, to convert it into one of the best restaurants in the region of Madrid. Sandoval received the National Gastronomy Award in 2013 by the Spanish Royal Academy of Gastronomy and was represented Spain at the Bocuse d´Or 2005. Coque, the family restaurant that he turned into gold with the help of this bothers, received its first Michelin star in 2004 and a second distinction in 2015.